Just check out that power curve! A full race Akrapovic exhaust system has transformed my R6. Peak power is up 7bhp and torque has increased from 45.51ftlb to 47.38ftlb. This may not sound much, less than 10%, but the sensation and feeling is huge. There is now usable torque below 10,000rpm, between 6500rpm and 10,000rpm the difference is staggering. This is all backed up by an intoxicating, ear-bleeding exhaust tone – I love it. There’s more to come. We haven’t played around with the fuelling, the air-filter is standard and we are still running with a restrictive baffle. 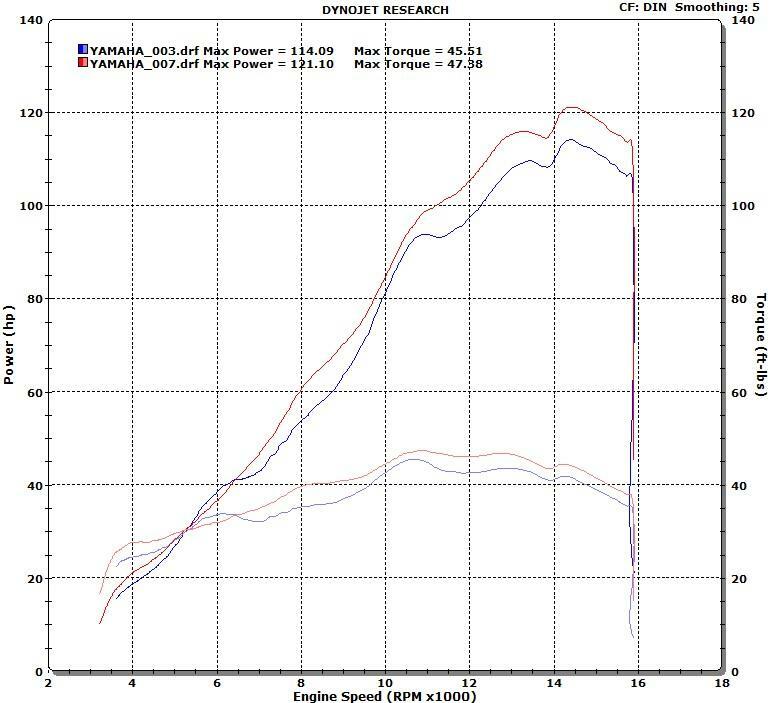 After some tweaking on the Dyno I’m sure we can push to over 125bhp and clean up the power curve towards the top end. MCN Fleet: What’s my R6 like in the wet? My R6 is the only 600cc Supersport machine on the market with traction control and ABS as standard. MCN Fleet: Can the R6 be tamed?